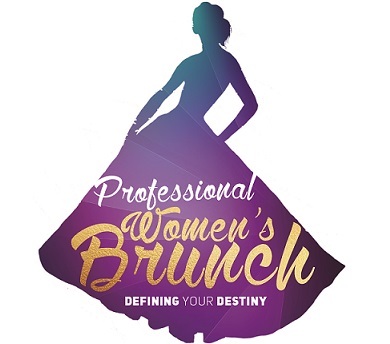 InStepp’s 6th annual Professional Women’s Brunch will feature Sharon Delaney McCloud as guest speaker. Katie Gailes, the Director of Entrepreneurship Initiatives at Wake Tech, will be this year’s Program Moderator. A 7-item brunch, door prizes, musical performances and a fashion show produced by FSmith Productions showcasing the clothing styles from Outerskin 2 Boutique in Raleigh will round out the event. Tickets for PWB 2019 are now on sale at $60.00 per person. Ticket purchases are non-refundable. A preliminary copy of the program will be available soon. Sharon Delaney McCloud is an Emmy Award-winning broadcaster, cancer survivor, Olympic Torch Bearer, author and communications expert who inspires audiences on resilience and finding your voice. 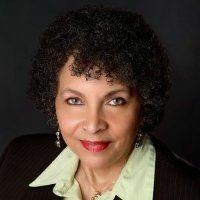 As an active member of the Global Speakers Federation and the National Speakers Association, Sharon connects with people, while at the same time, offering actionable insights. Sharon earned a Bachelor of Science degree in Communication from Florida State University before embarking on a career as a television journalist. From the Persian Gulf War to John Glenn’s historic return to space to the Super Bowl to hurricanes, floods, politics and entertainment, she has covered thousands of stories that have affected people’s lives on a daily basis. Sharon also moderated gubernatorial and mayoral debates throughout North Carolina and served as a mentor for young journalists beginning their careers. After leaving television news, Sharon founded Greenroom Communications, a Raleigh-based video production and marketing firm, with Kim and Penn Holderness (the XMAS Jammies Family). They worked with big brands like Target, Samsung, H&R Block and Chase Bank. At one point, they even had a reality show on UPtv. In 2016, Greenroom merged with Walk West to become a full-service digital marketing agency. There, Sharon is a Partner and Vice President of Professional Development where she leads media training, presentation/public speaking coaching, workplace communication and executive presence workshops for leaders at all levels of their careers. In 2018, Walk West debuted at No. 647 on Inc. Magazine’s 2018 list of fastest growing private companies, the Inc. 5000, and was recognized as the fastest growing marketing agency in North Carolina. In addition, Sharon serves on the Telly Awards Judging Council, a national organization that honors excellence in video and television across all screens. 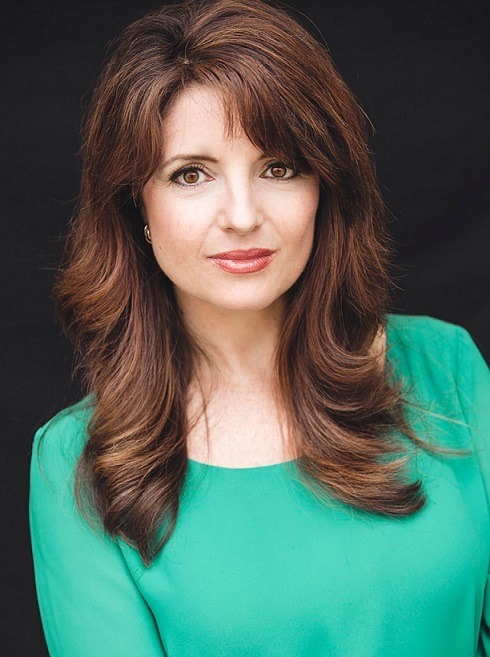 Sharon has been featured in numerous publications, including Sheryl Sandburg’s Option B digital platform, Enterprising Women and co-author of the new book, Keep Going, Memoirs of Strength, Courage & Perseverance. Sharon was born in Nairobi, Kenya and spent her early years in East Africa attending schools in Kenya and Tanzania before moving to the United States. In addition to her television career, Sharon worked for the Department of Defense’s U.S.O. program and traveled all over the Middle East, Mediterranean and Europe entertaining American troops as part of an all-girl group, The Florida Girls. Additionally, Sharon graduated from the New World School of the Arts in Miami and performed for a season with the Greater Miami Opera. advisory committees for non-profit organizations in North Carolina. Katie Gailes is a rare find, ya’ll. She is a native North Carolinian. She was born in Granville County, grew up in Forsyth County, earned her undergraduate degree in Guilford County, her MBA in Durham County, and she now lives and works in Wake County. Katie attended the Bennett College for Women in Greensboro and the Duke University Fuqua School of Business. After a long career with IBM, she launched a consulting practice, which she ran full-time for six years. She was a counselor in the Growing American Through Entrepreneurship (GATE) program at the NC Rural Economic Development Center where she helped displaced workers in rural North Carolina start businesses. Through this program and her consulting practice, Katie trained or worked with over 1,000 small business owners and entrepreneurs. Katie is now the Director of Entrepreneurship Initiatives at Wake Tech, where she runs several projects like the LaunchWakeCounty, StartUp@WakeTech, and the Veterans Entrepreneurship Advantage. LaunchWakeCounty has grown to include 7 of Wake County’s 12 municipalities and almost 200 small business owners. Katie has been recognized for her commitment to veterans entrepreneurship by the North Carolina Veterans Business Association. Over 60 veterans, active duty military, and spouses have received eight weeks of free business startup and management training through this program. And that included dinner. She received a Collaboration Award from the NC Department of Administration Historically Underutilized Business (HUB) Office for the now statewide HUB Certification Day program that was developed and piloted at Wake Tech. Katie was named a Paul Harris Fellow by The Rotary Foundation of Rotary International and received a Vocational Service Award from the North Raleigh Rotary Club. And, she also received a 2018 Women in Business Award from the Triangle Business Journal and was named the 2018 Woman of the Year by Black Professional Women of NC. Katie believes that within entrepreneurship lies the life and leadership skills of the future. It will be the salvation for our economy and our communities. Our featured vocalist will be announced soon. Our fashion show will be produced again this year by FSmith Productions showcasing the clothing styles from Outerskin 2 Boutique in Raleigh, owned by Sabrina Newton. Our fashion show theme this year is OUTER SKIN…INNER BEAUTY. We will feature a variety of professional looks and everyday wear for everyday women. As a Table Captain, you can get your seat free by getting a minimum of seven (7) of your friends, co-workers or family members to buy a ticket. Your responsibility as a Table Captain will be to confirm the attendance of at least seven (7) paying guests to the event and provide a list of your confirmed guests to InStepp Inc. by Friday, August 30th. Your seat at the event will be free if you fill your table with a minimum of seven (7) paying guests. For more information, please read our brief Table Captain Guide. Click on the highlighted text in this sentence to download the online fillable copy of the Guest Registration Form referenced in the Table Guide. The major source of funding for PWB is from corporate sponsors. Our event staff will work closely with your organization to optimize a return on your investment. Click here to view the PWB 2019 sponsorship package. Sponsorships can be paid by check or credit card. If paying by credit card. click on the button below. Embassy Suites by Hilton Raleigh-Durham Airport/Brier Creek is conveniently located three miles from Raleigh-Durham International Airport (RDU) and minutes from the attractions of Brier Creek, downtown Raleigh and Durham. Both covered and outdoor parking are available on the hotel grounds.